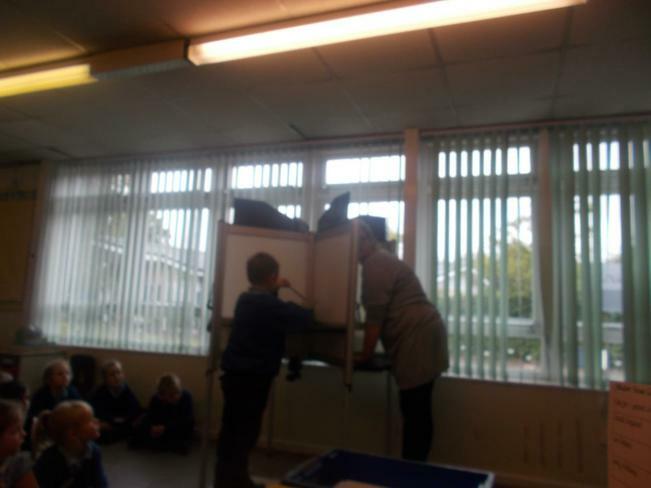 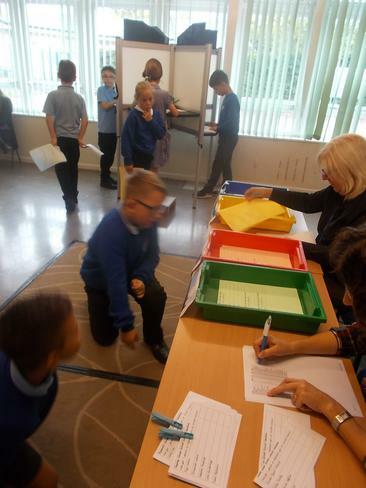 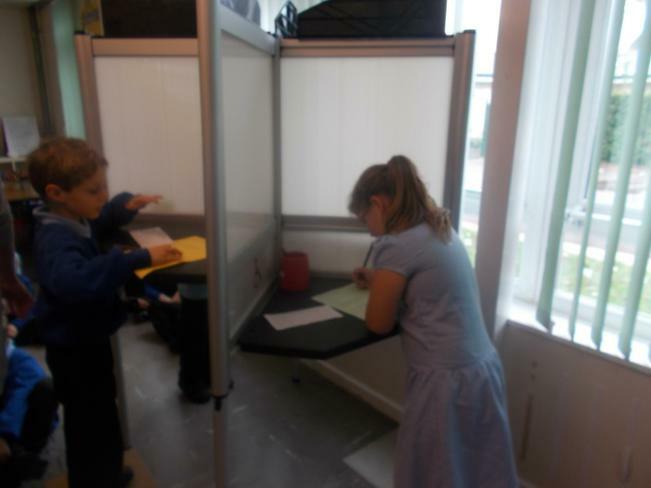 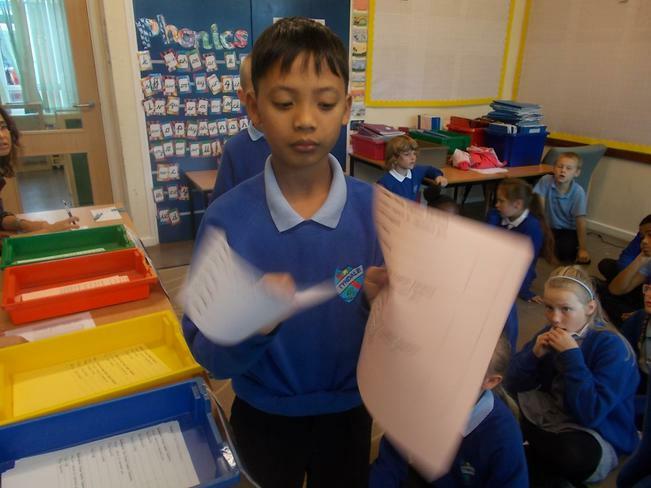 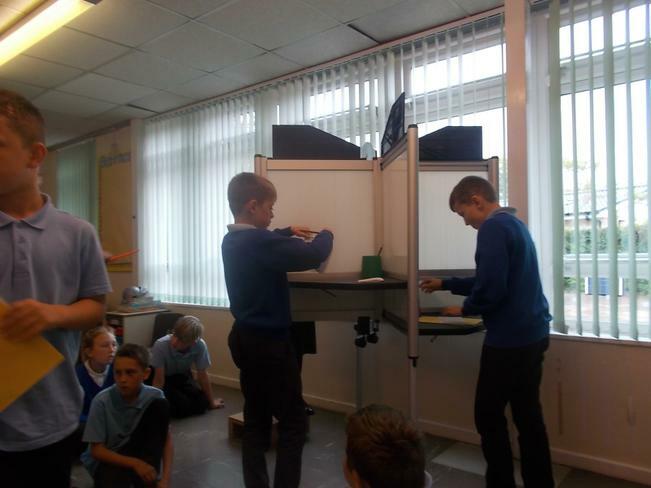 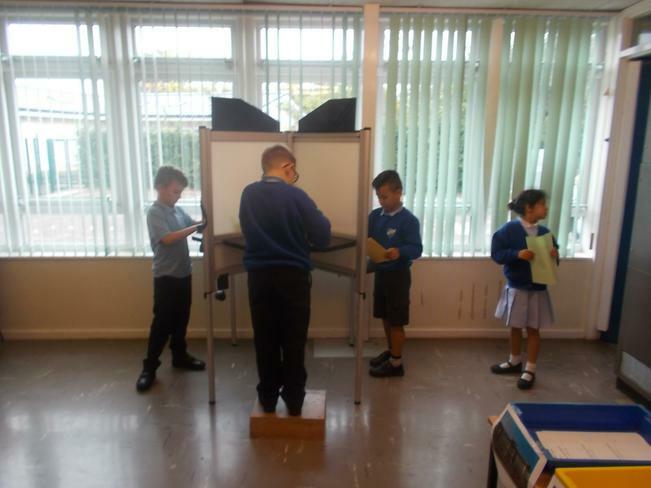 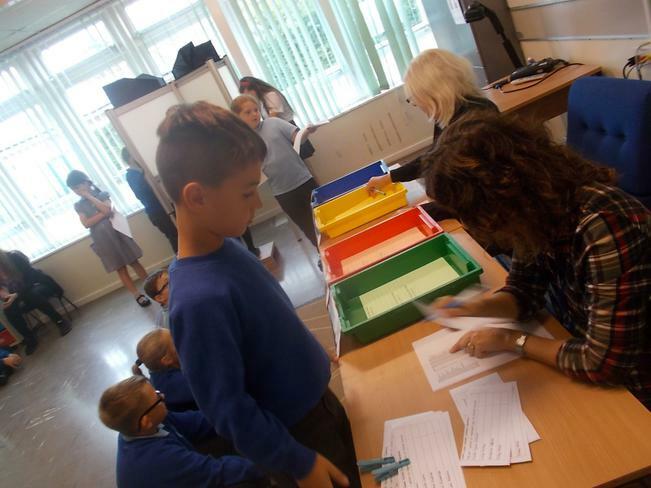 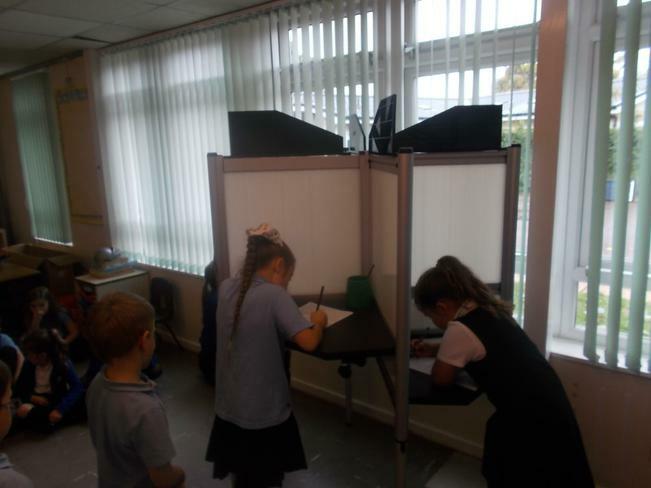 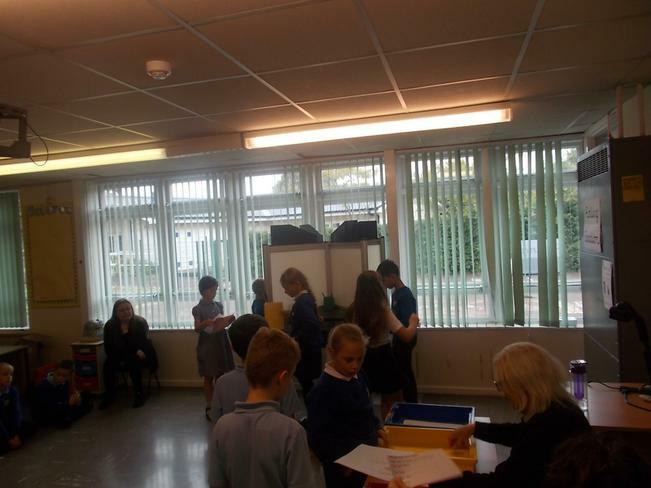 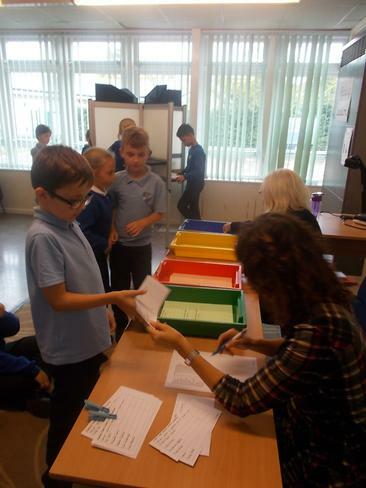 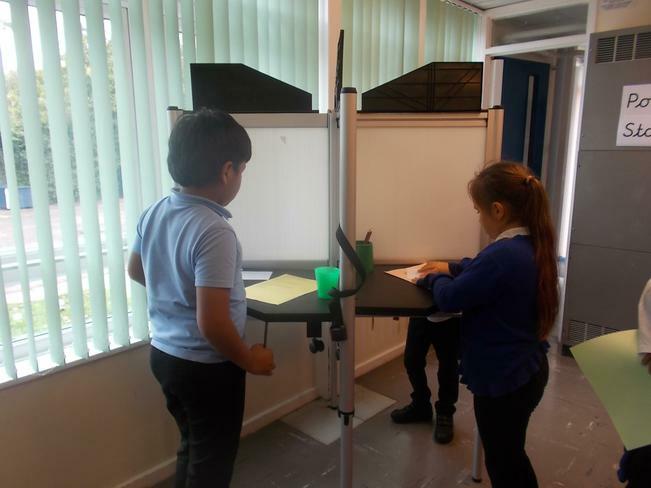 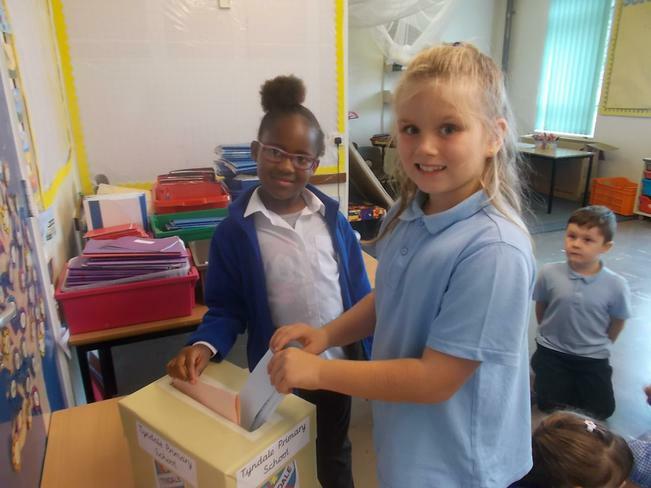 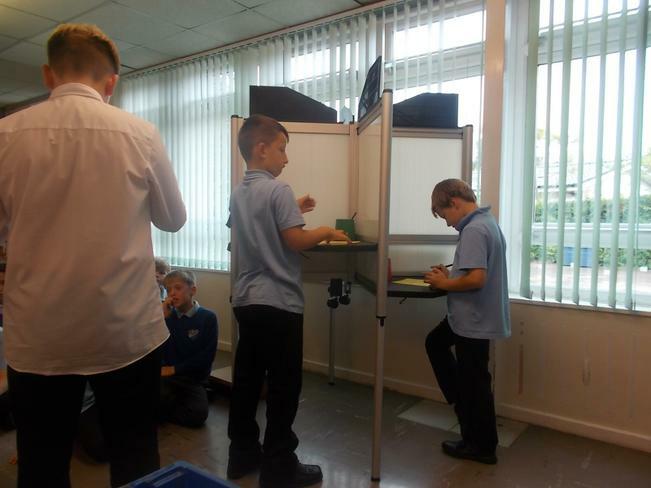 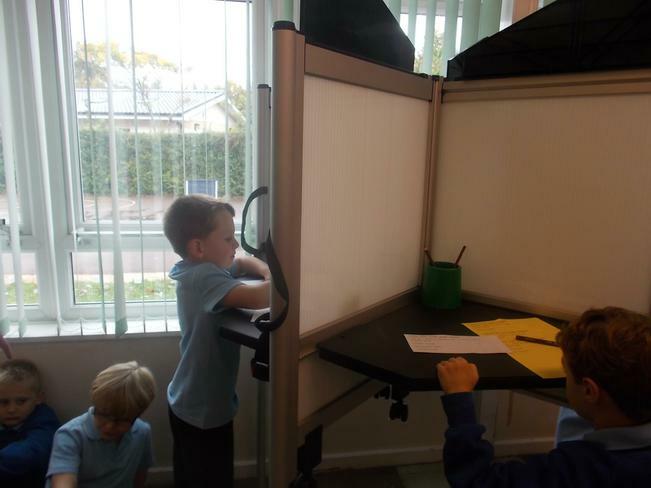 On Thursday 20th September, Tyndale pupils experienced democracy for themselves in our whole school elections. 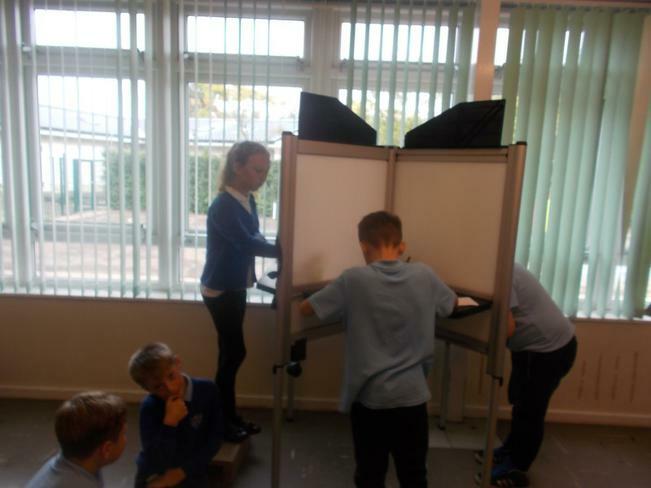 Following a special assembly, where Year 6 candidates gave their campaign speeches to their house teams, voters gathered at the Tyndale Polling Station to cast their vote. 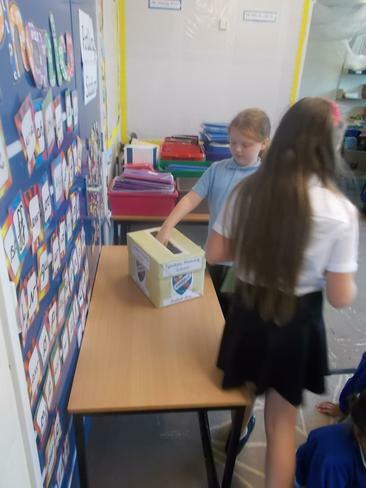 House elections included choosing their House Captain, Vice House Captain and Sports Captain for this year. 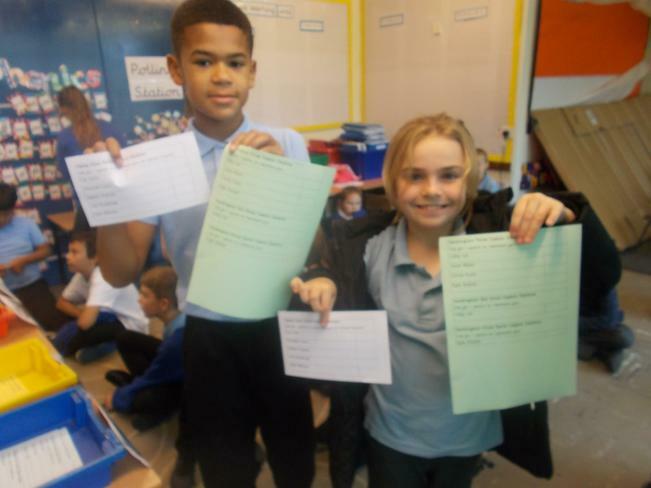 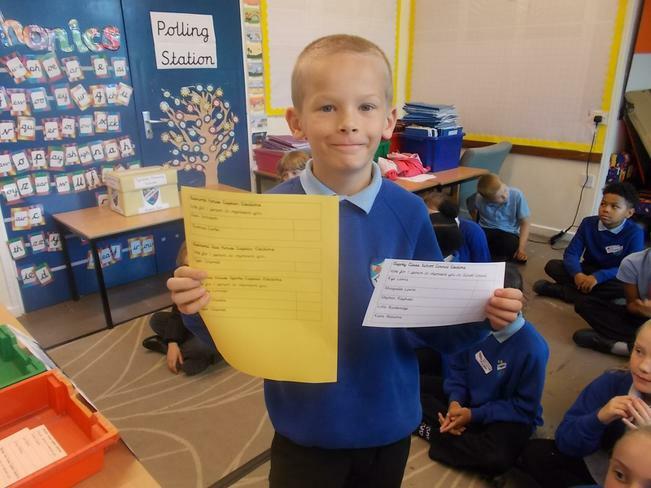 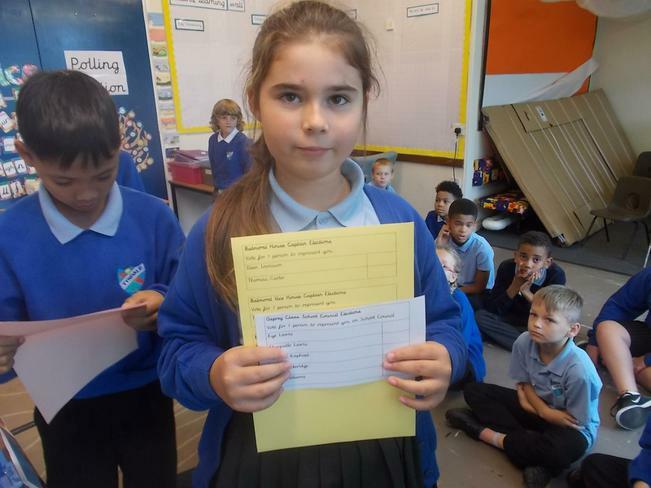 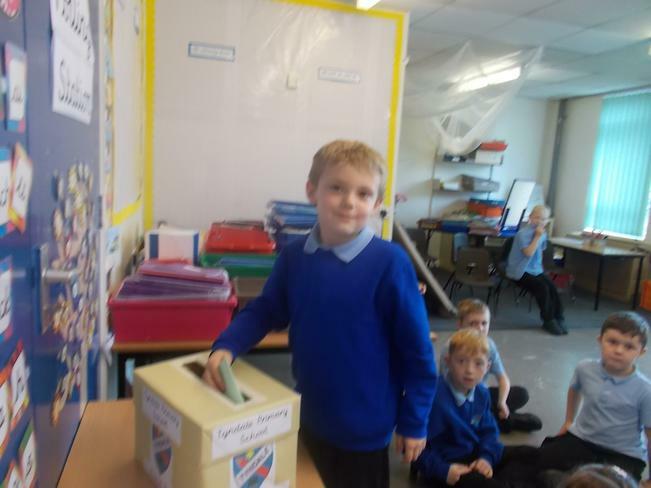 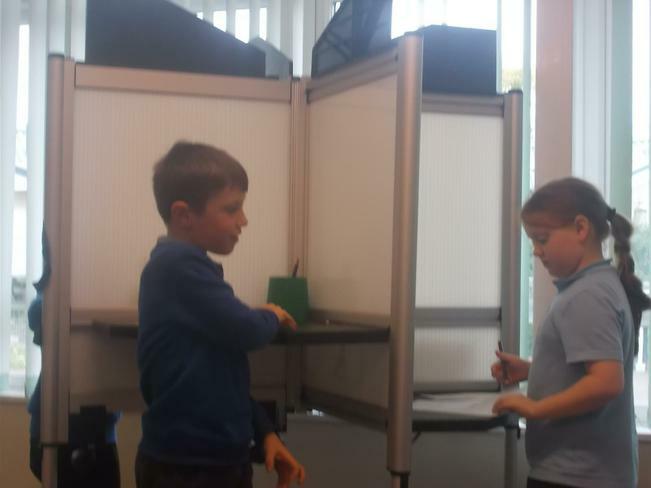 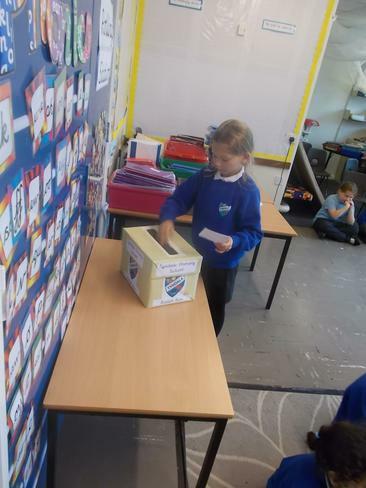 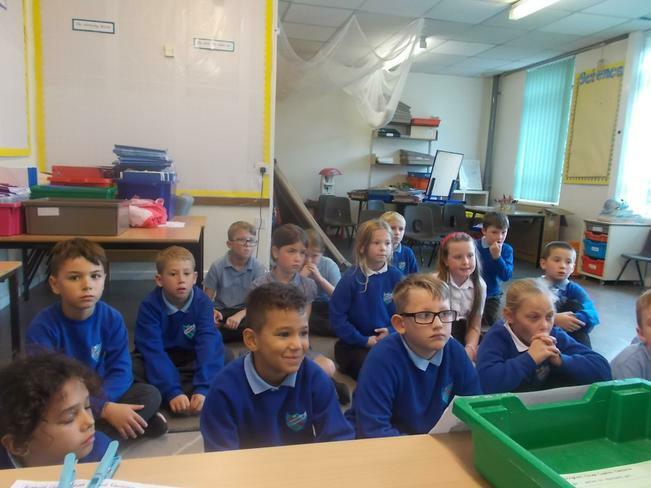 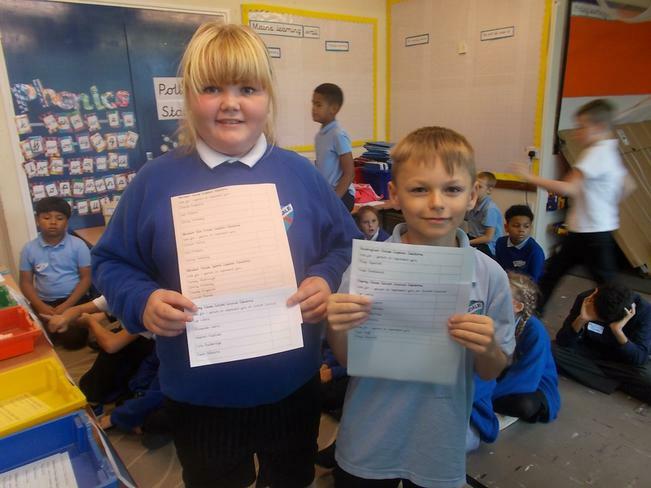 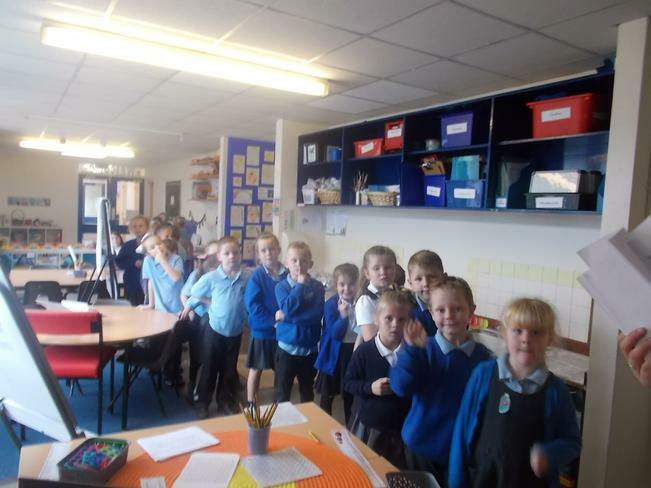 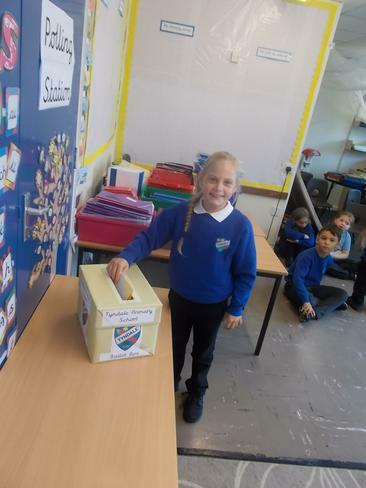 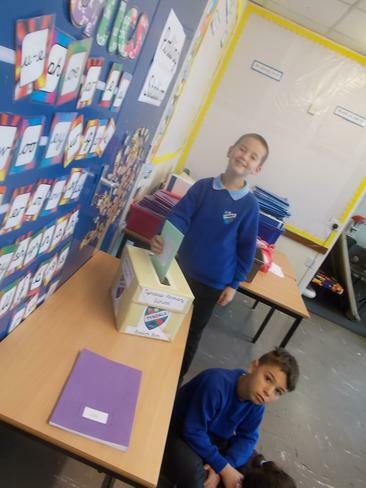 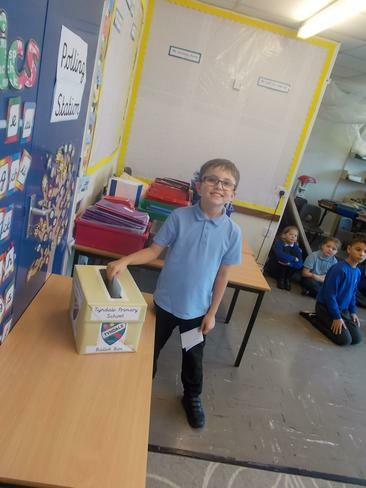 In addition, following campaign speeches in their classroom, children also voted for their school council representatives. 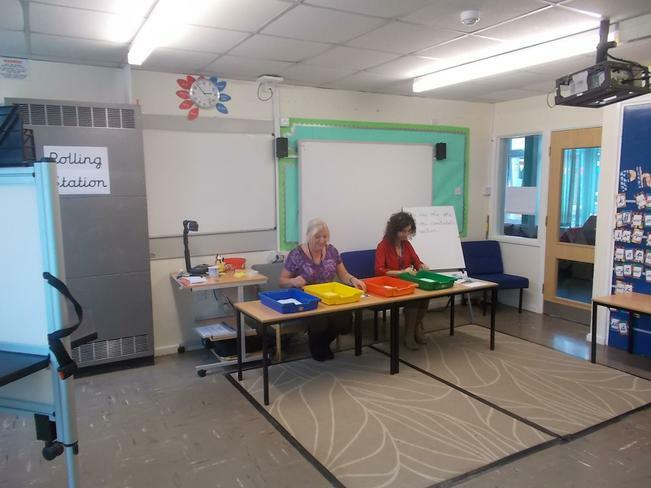 Mrs Dunn and Mrs Matthews did a brilliant job of preparing the room, and we were very grateful to Ms Mundy and Mrs Roberts for preparing our ballot papers. 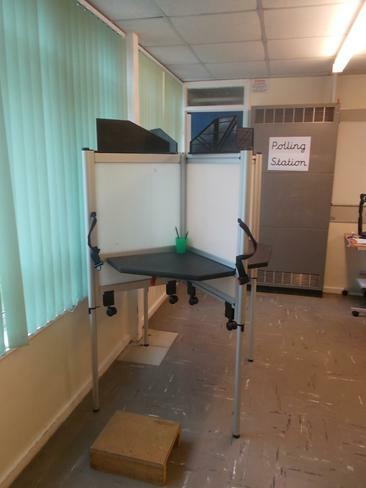 Finally, to really make the voting experience real, we were lucky enough to borrow a proper polling booth from South Gloucestershire council.